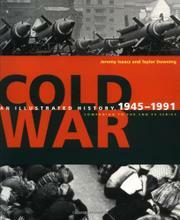 This heavily illustrated companion volume to a documentary series scheduled to run this fall on CNN offers a clear, succinct summary of the defining element of life in the second half of the 20th century, the (often very hot) Cold War. Isaacs and Downing, who have between them produced a number of documentaries and series for British television, cover swiftly but with commendable balance the genesis of the conflict in the years following WWII and the often labyrinthine way in which the constant maneuvering between the superpowers reshaped the world. There are chapters on the Berlin Airlift, on the Korean War, on the early scramble to develop nuclear weapons, and on the fears leading to the creation of the Berlin Wall. While the emphasis throughout is on large-scale events, the authors take some lively detours to consider how the Cold War affected art, literature, and popular culture, as well as the cinema. There are particularly clear presentations of the evolution of nuclear strategy and on the various surrogate wars (in Guatemala, Cuba, Vietnam, and Afghanistan, among others). Those requiring a particularly deep account of Cold War diplomacy and national strategy should probably look elsewhere. But those requiring an accessible survey of the causes and effects of the Cold War need search no further.